It was “business as usual” despite Brexit and political uncertainty after lots totalling nearly £3m were sold at Mark Jenkinson and Son’s April auction – making Yorkshire the second strongest performing region in the market so far this year. A fire damaged-shop, former pub, and a student house were among the top sellers at the auction, seeing Yorkshire buck market trends. The region is the only area outside the South West to show such positive auction results for 2019 to date, according to figures released by The Essential Information Group in London. Adrian Little, head of the Auction Department at Mark Jenkinson and Son, said: “So far this year we have held three auctions where 72 of the 90 lots sold for £8.55m. “That’s an 81 per cent success rate and with post-auction sales, this figure will further improve. While there appears to have been a slowdown in the national auction market over the last few months, our region certainly seems to be bucking the trend, by performing strongly with busy auctions, strong viewing numbers prior to the events, and average lot value increasing to £119,000. At the auction a fire-damaged stone-built shop in Oughtibridge went for more than double its reserve of £50,000 at £107,000, while a six-bedroom student house in Crooksmoor, Sheffield, sold for the top price of the day at £285,000. 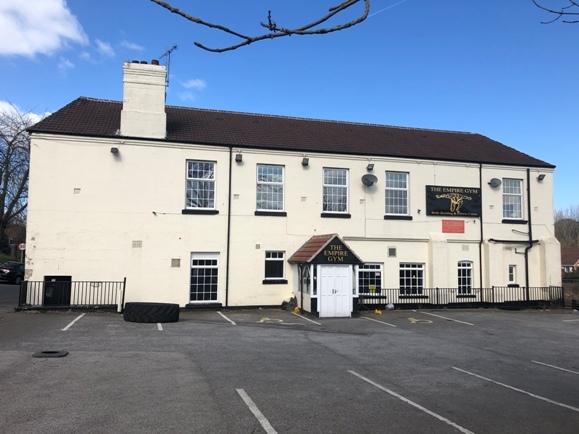 Other properties going under the hammer included the former Station Pub in Conisbrough sold for £195,000 and two detached bungalows on Rotherham’s Listerdale Estate which both had a reserve of £175,000 but achieved £241,000 and £229,000. Also sold at the auction, held at The Platinum Suite, Sheffield United Football Club, for £40,000 was a small vacant site with planning permission on Holme lane in Hillsborough. More than 30 lots have been entered into Mark Jenkinson’s fourth auction which will be held at 2pm prompt at Sheffield United on 15th May. For more information visit www.markjenkinson.co.uk/auctions/. Established in 1877, Mark Jenkinson and Son, which has offices in Sheffield and Chesterfield, is the largest independent firm of Chartered Surveyors in South Yorkshire.